Dr Gregg Homer claims 20 seconds of laser light can remove pigment in brown eyes so they gradually turn blue. He is now seeking up to $750,000 (£468,000) of investment to continue clinical trials. 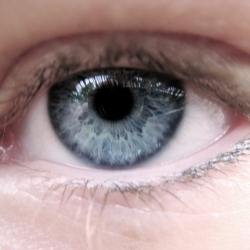 However, other eye experts urge caution because destroying eye pigment can cause sight problems if too much light is allowed to enter the pupil. Stroma Medical, the company set up to commercialise the process, estimates it will take at least 18 months to finish the safety tests.